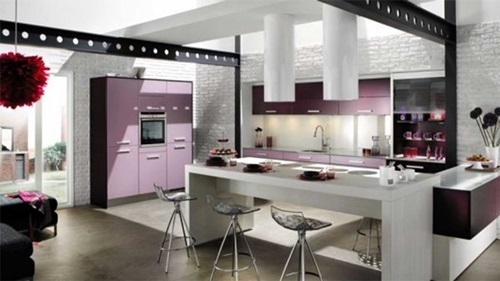 Your sleek and functional ultramodern kitchen can be the focal point of your house regardless its size or color. 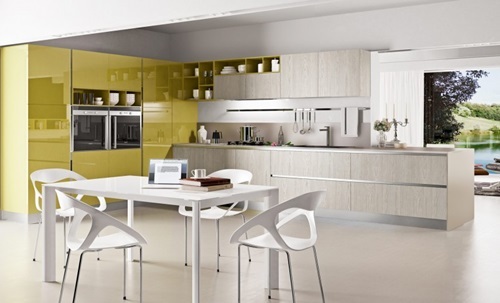 Every unit in this kitchen should decorate the space, in addition to its original role. 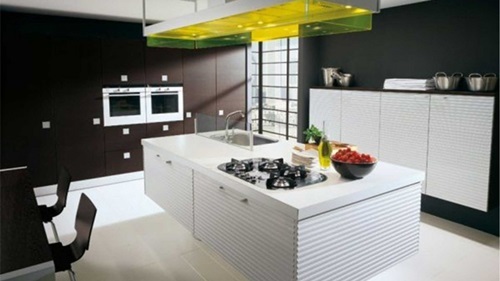 In brief, your ultramodern kitchen will be cool when it has a flexible and minimal design with geometrical lines and patterns. 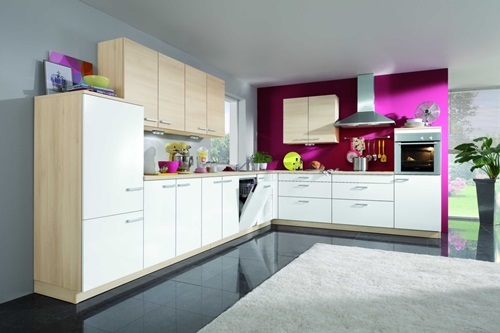 The sleek cabinets of your ultramodern kitchen will help your items to be neatly and securely stored. 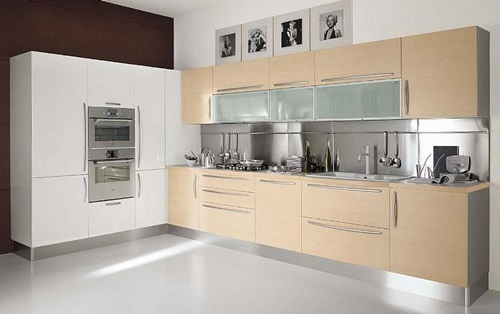 The cabinet’s look will be elegant if it has large sliding doors and removable shelves. Such a cabinet can be made of wood, plastic, or metal with suitable finishes. 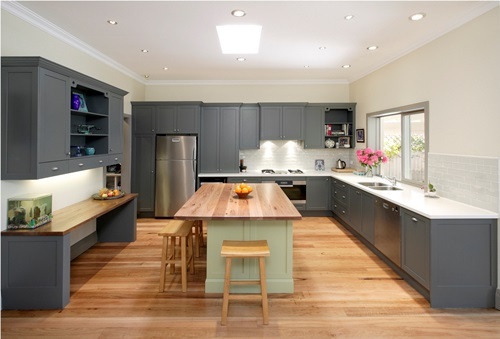 These cabinets will need regular cleaning to look great all the time. 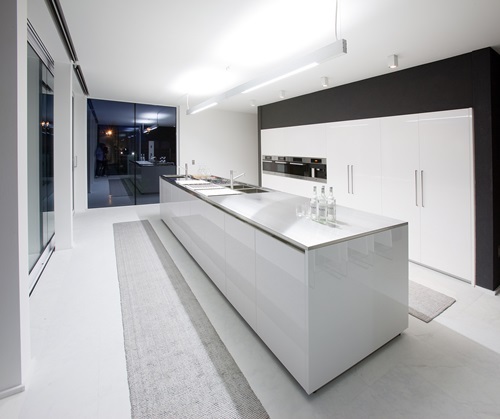 Your ultramodern kitchen will look great if it has shining and smooth surfaces and worktops. 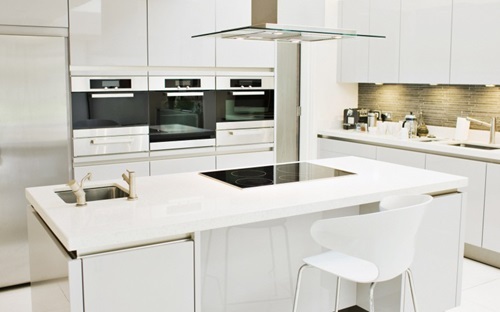 The granite countertop is a great option that can spread the geometrical look into your cool kitchen. 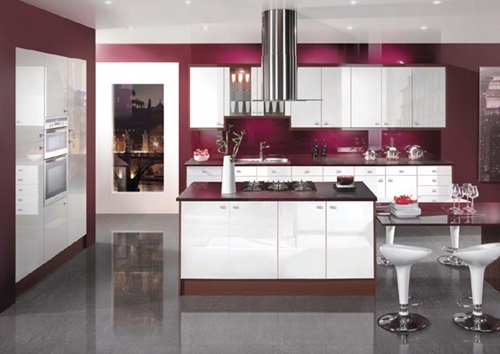 It comes with different natural colors and unique patterns to give your kitchen an independent personality and unique look. 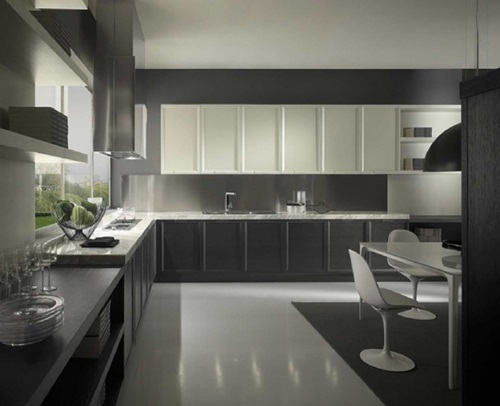 You can design a high gloss kitchen with a stark white color and black accent. 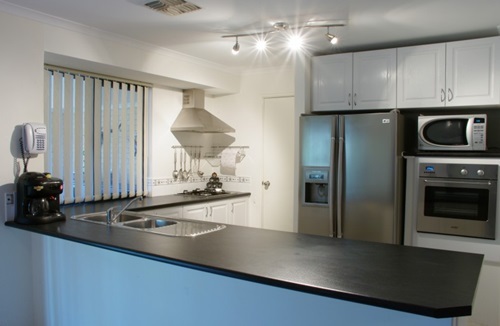 Your cool ultramodern kitchen may consist of granite worktops, a metal sink, double white and black oven, high-tech appliances, a heavy kitchen stool, and a smooth surface kitchen island. 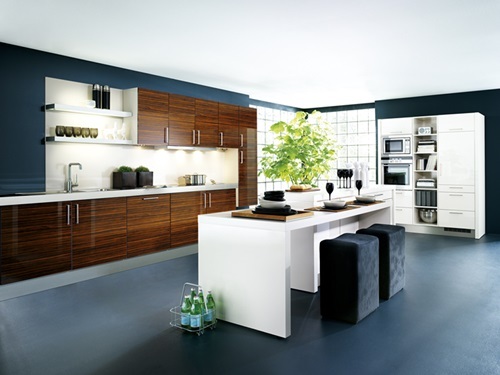 You will need to use a white, black, or gray theme to be applied to your counters and backsplashes with matching appliances’ surfaces. 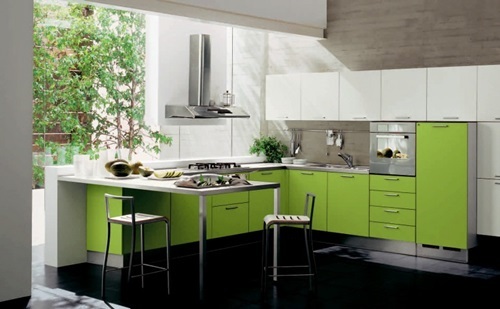 In addition to the white color, you have other options to paint your kitchen with, such as the dramatic or vibrant primary colors. 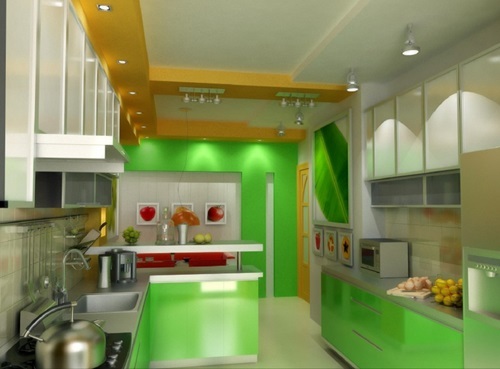 These colors will look great with the suitable lights. Your lighting fixtures should be pieces of art. 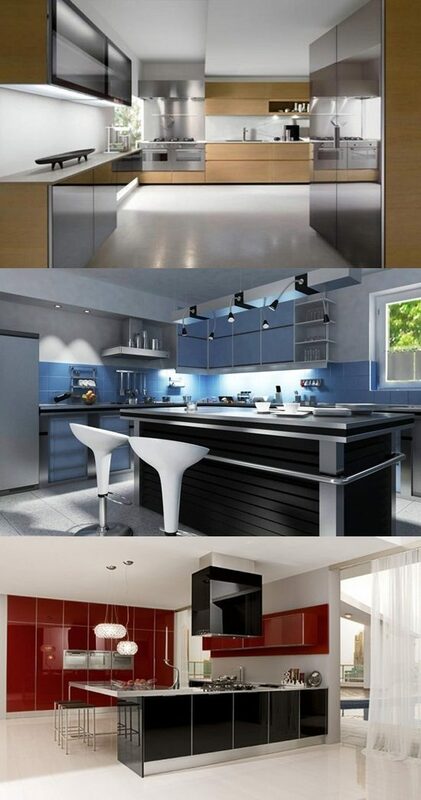 You can get unique geometrical pattern lamps to match the shape of your cool kitchen. A natural patterned area rug on a natural wooden floor with natural light coming through the white decorated drape will enhance the cool ultramodern look of your kitchen.